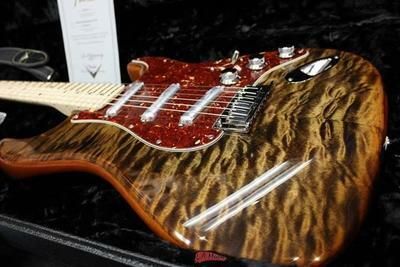 The Artisan series Quilt Maple-Top Stratocaster features a gorgeously figured quilt maple top accentuated by a new "tiger-eye" burst finish. 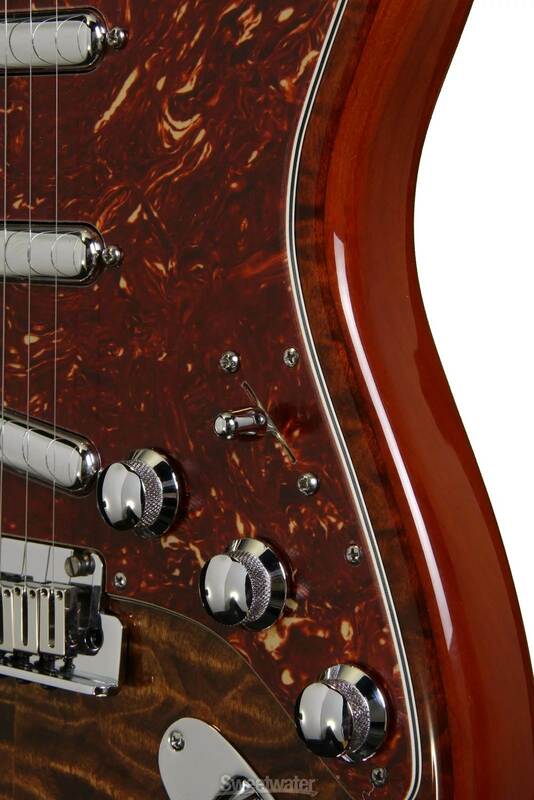 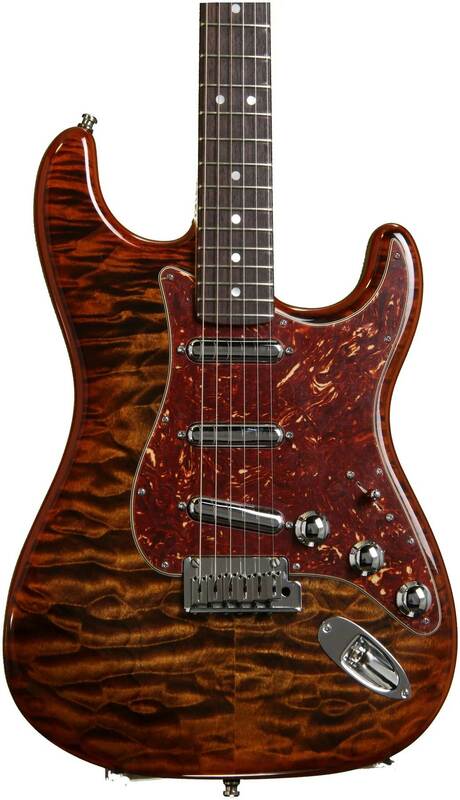 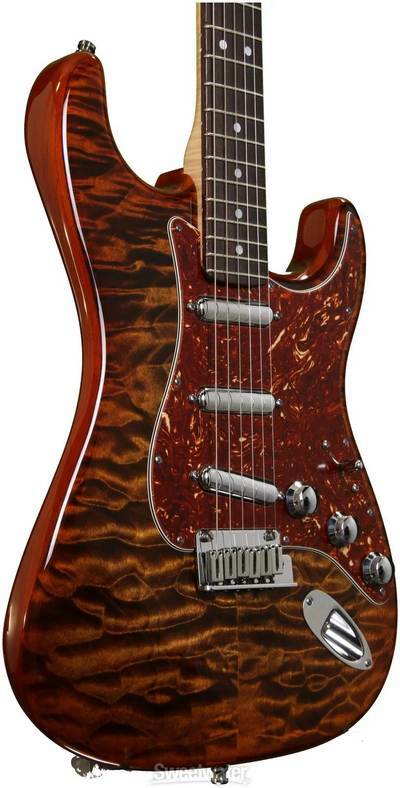 There really aren't enough good things to be said about this finish, it's simply stunning. 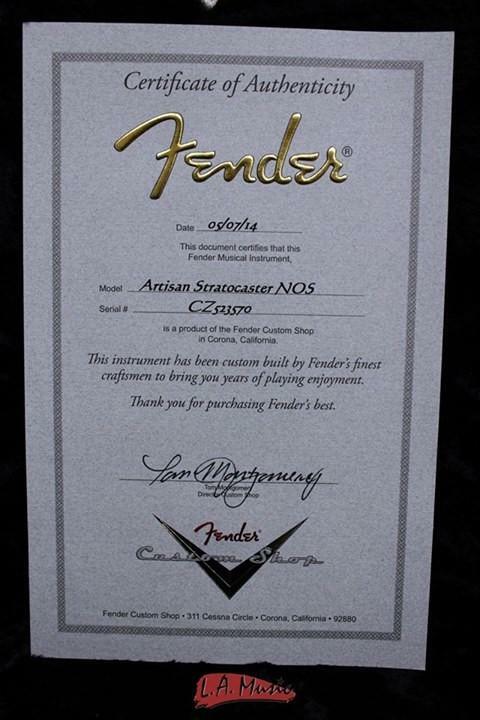 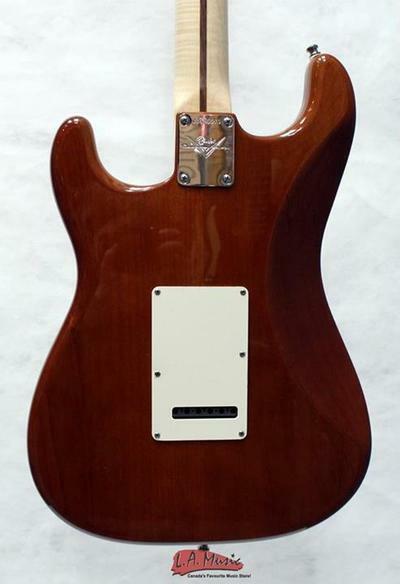 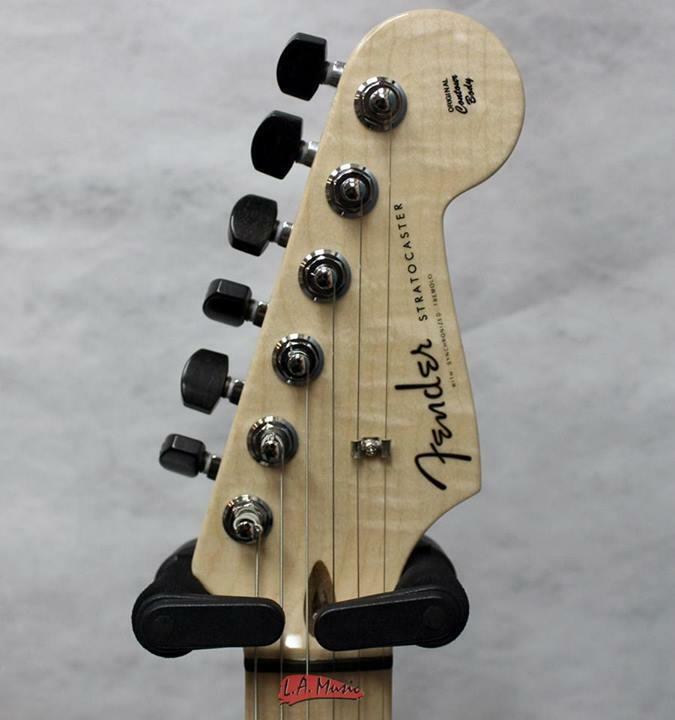 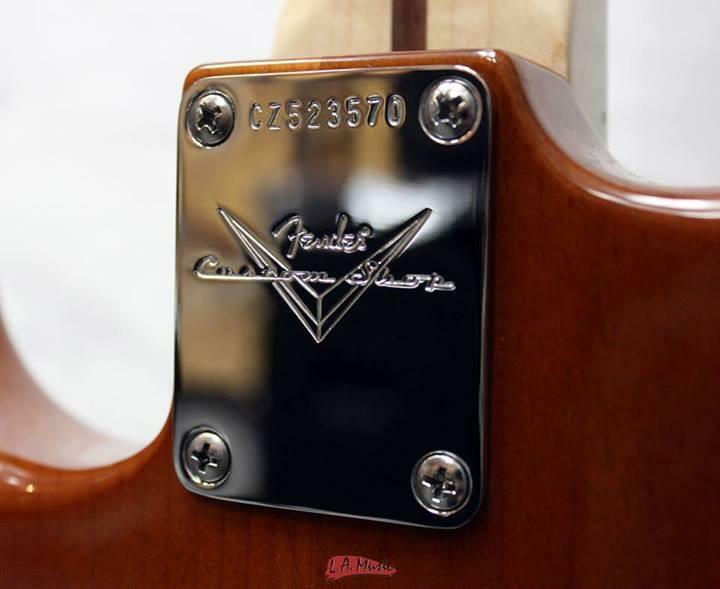 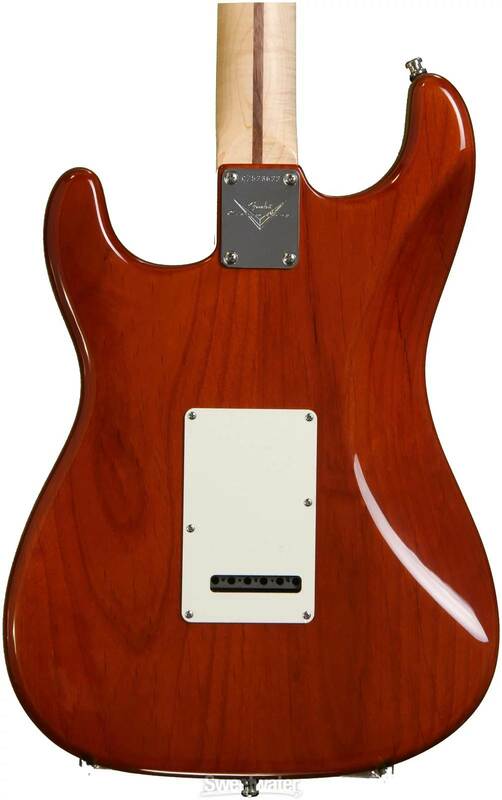 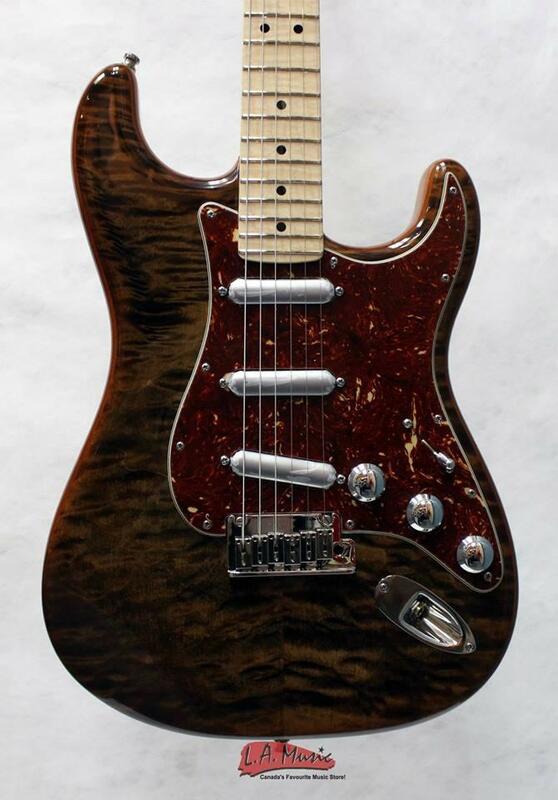 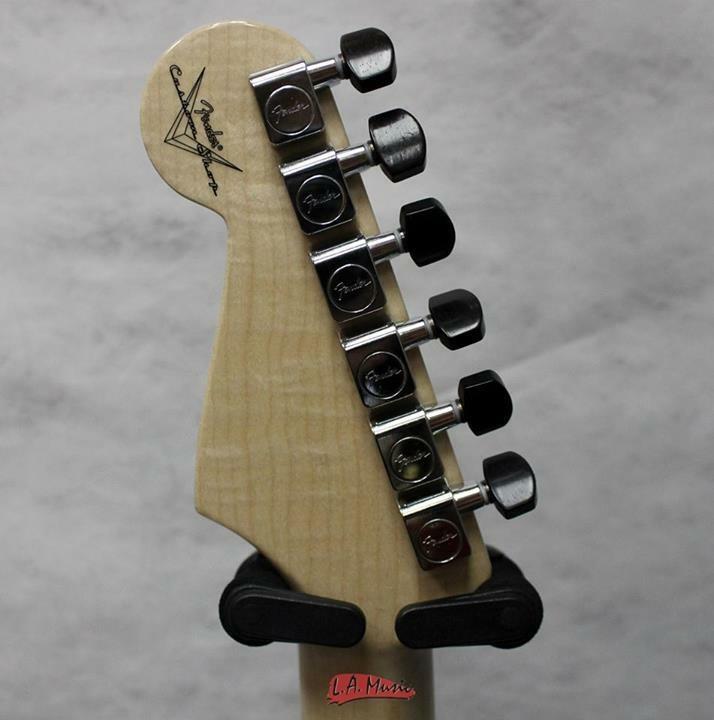 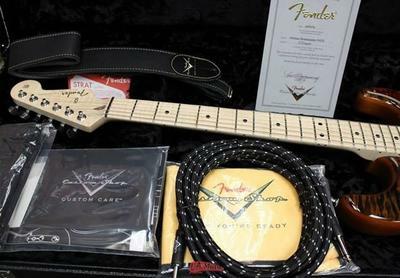 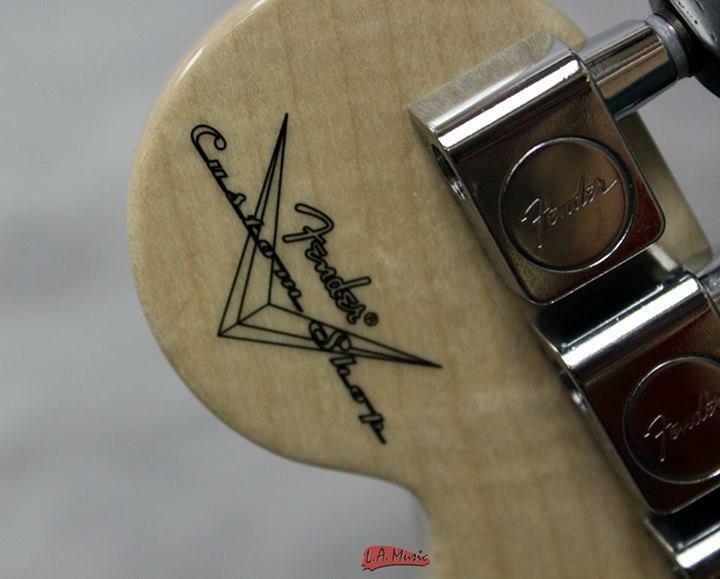 Other highly distinctive features include chrome "lipstick" pickup covers, special chrome control knobs, chrome tuners with ebony buttons, a choice of one-piece maple neck or rosewood fingerboard, and a great quality case.